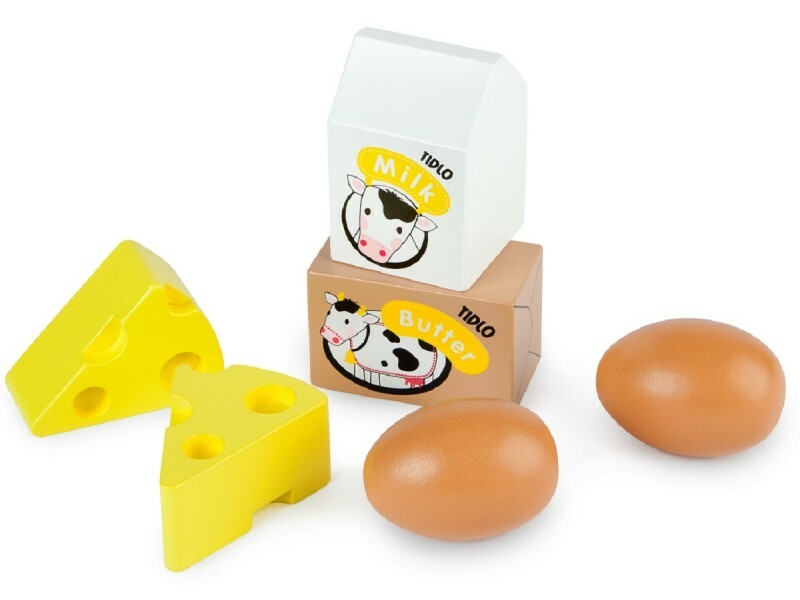 This fantastic Tidlo Wooden Eggs and Dairy Set is great for children who enjoy playing with pretend food. 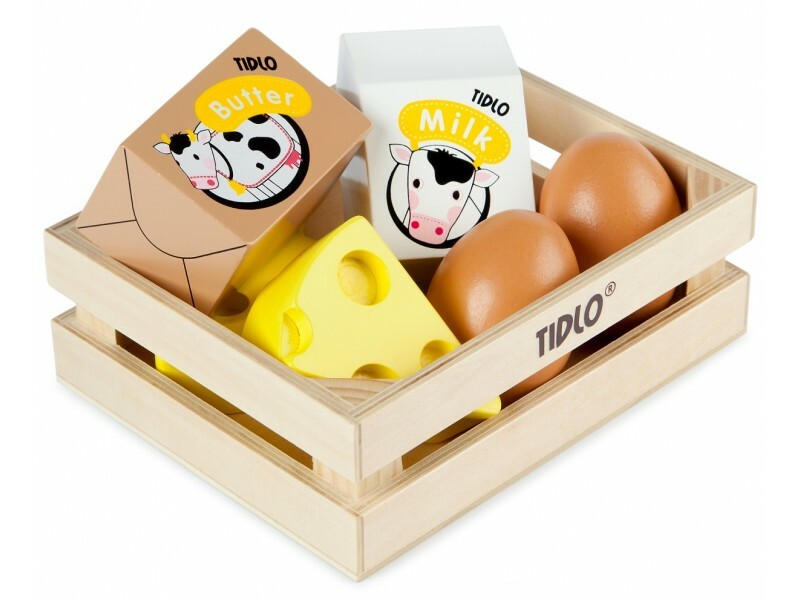 This great set comprises of a wooden crate of play food. 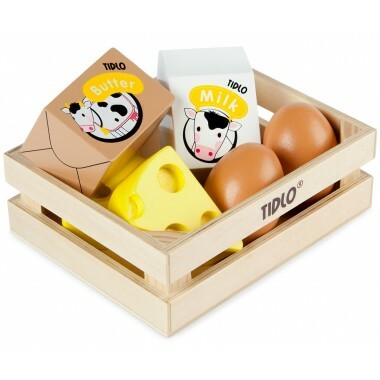 The wooden crate contains two eggs, two wedges of cheese, 1 pack of butter and a carton of milk.